Gabriel Garcia Marquez, a Nobel Prize-winning author, journalist, and screenwriter, died Thursday at age 87, according to a report citing a source close to Marquez’s family. Born in Colombia, Marquez had been recuperating at his Mexico City home after he was hospitalized for nine days due to infections in his lungs and urinary tract. 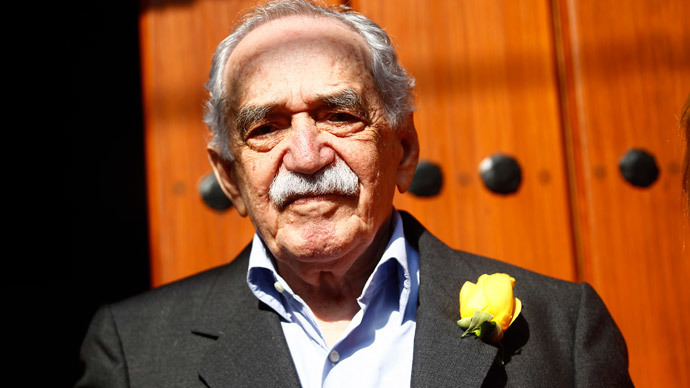 Better known as “Gabo,” Marquez was perhaps most beloved for “One Hundred Years of Solitude.” The book was first published in 1967 and chronicled multiple generations of the fictional Buendia family whose patriarch founds the town Macondo, Colombia. Marquez was diagnosed with lymphatic cancer in 1999 and, while battling the disease, contracted Alzheimer’s disease in 2006. Colombian President Juan Manuel Santos said on Wednesday that Marquez was also treated for pneumonia, contrary to previous press reports. Marquez is survived by his wife, Mercedes Barcha, and sons Rodrigo and Gonzalo. Due to his health complications, Marquez retired from public life in 2009. Not to be outdone by his own fiction, Marquez is perhaps equally praised for his journalism skills. Along with Norman Mailer, Tom Wolfe, and others he is seen today as one of the pioneers of the New Journalism movement, particularly because of his focus on the culture of Latin America. He once wrote a profile of Hugo Chavez and depicted cocaine kingpin Pablo Escobar’s destruction of Colombian society in vivid detail. Marquez was also an ally of Fidel Castro early in the Cuban revolutionary’s presidency and spoke out against US involvement in Vietnam. Upon accepting the Nobel prize in 1982, Marquez said Latin America’s tribulations provided him with a “source of insatiable creativity, full of sorrow and beauty, all of which this roving and nostalgic Colombian is but one cipher more, singled out by fortune. Poets and beggars, musicians and prophets, warriors and scoundrels, all creatures of that unbridled reality, we have had to ask but little of imagination, for our crucial problem has been a lack of conventional means to render our lives believable,” as quoted by the AP. Marquez's remains were to be cremated in a private ceremony in Mexico, reported EFE. UPDATE: En earlier version of this story misattributed a quote to Mr. Marquez.